When working on the design of a special piece, students of my silver jewellery workshops often ask for suggestions on how to wear their creations. An adjustable cord is often the best solution: no clasp to fiddle with, easy to put on/ take off and it offers various positions for a pendant. Tutorials on how to make one are available on the internet, I recommend www.fusionbeads.com for their clear instructions on many beading and metal working techniques. The “adjustable knot” you can find here. And: Don’t forget youtube.com for tutorials on video clips. 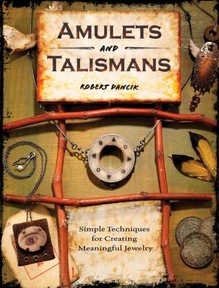 Preserving memories is something we all do to a certain degree, to incorporate mementos into amulets and talismans is less common but very rewarding. If you have something you treasure and would like to carry it with you all the time, then have a look at the following book which explains the use of wire, polymer clay, paper-mache, epoxy, concrete, metal with found objects. Every step for the projects is shown in close-up photos. I love the adjustable knot info, I'm pretty clumsy and often break chains so cord makes more sense to me :-) Thanks! The book looks really interesting and I'd love to try it, even though I know it's probably beyond my attention to detail levels. This handy tutorial can help in making a fabulous jewelery. 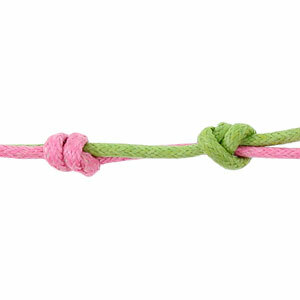 There's a lot of knot techniques that we can learn just by using Google. A good book,I like Weaving process， it is so interesting!